This story was so weird but very interesting. A man is cleaning up his wild yard with a bonfire, and his wife rescues a cat from it. She takes the cat in even though the husband hates it. She plays piano for it and becomes convinced, through its reactions, that the cat is Liszt reincarnated. She shows her husband but he thinks she's crazy. She researches Liszt and it sure the cat is him because of various markings, and wants to make a big public deal about it. Her husband is embarrassed she wants to do this. While she cooks dinner for them, the husband throws the cat in the backyard fire. This was pretty similar to the story in the beginning: cat comes to yard, woman plays piano for it. The library scene had me cracking up! 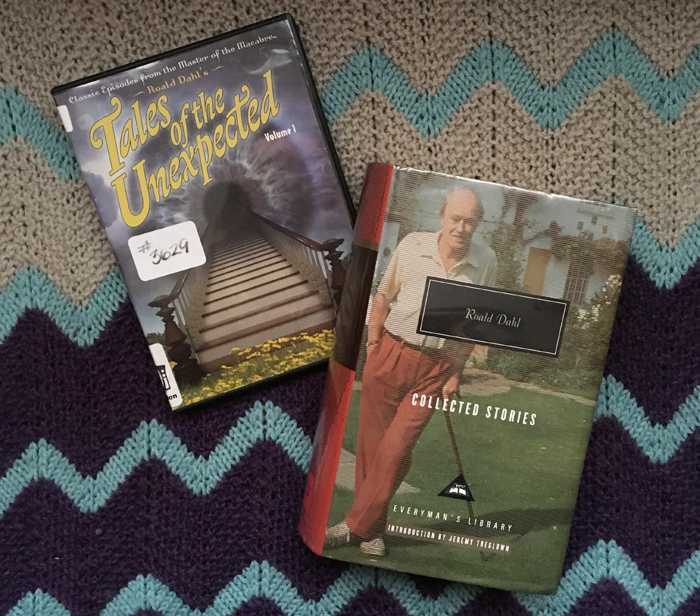 A chatty librarian sharing theories and "research" about reincarnation. So busy talking while shelving that he doesn't even notice she left! That was added in, of course, but appreciated! The ending was different because, while it seemed like the husband got rid of the cat, the wife went after the husband with a knife, and later the cat came back in through the window. I don't remember how I heard about this book - everyone's buzzing about it, so maybe I saw a friend was reading it via Goodreads, or saw it on #bookstagram. Either way, I put it on hold at the library and didn't have to wait too long to start it. I was so excited to crack open the cover, which felt amazing in itself, because I haven't been reading much lately. Then I started the story. WOW. Not only do I love classic rock and band drama from the '70s, but it's so well-written, and presented in an interesting way of the author compiling a narrative from all parties involved. Also, it's totally the book I've been trying to write for decades. I'm not saying the author stole my work or my idea or anything like that! I'm just feeling validated that this idea I had as a thirteen year old Aerosmith fanatic might actually have literary merit! 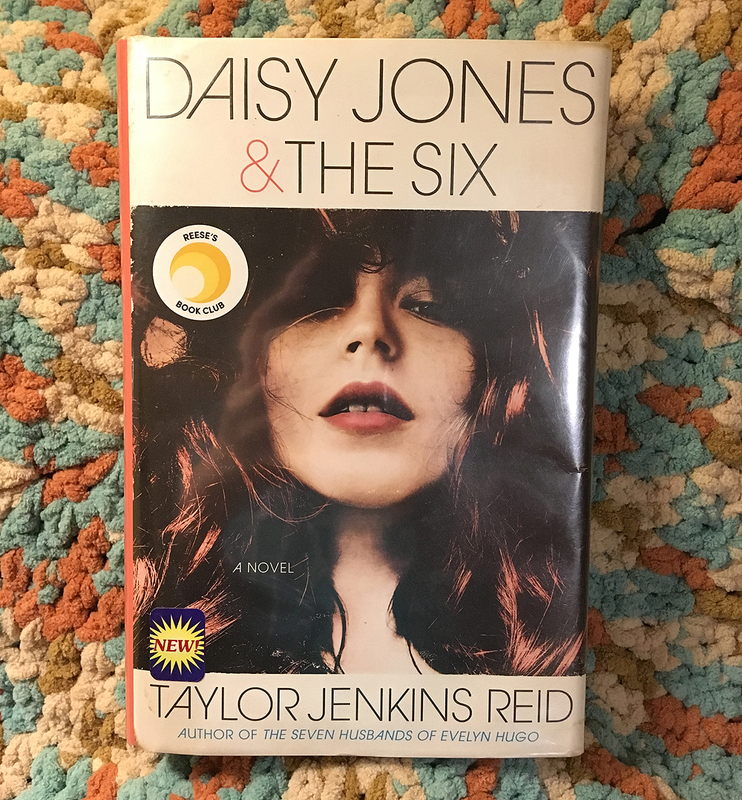 I thought the story I was writing was glorified fan fiction, but Daisy Jones and the Six has me rethinking that, and revisiting my story. There are so many quotes about how you can't be a writer without being a reader, and I've always been a reader. And I've always loved music. And falling in love with Aerosmith as a young teenager gave me a way to connect music and writing. I worked on my fan fiction novel off and on for several years. I'm not exaggerating when I say I think of it often, even as an adult. I think of the title (which I still think is pretty perfect), and the main character, and what really should happen in the end. Because of course I haven't finished it! But now, on the cusp of finishing Daisy Jones and the Six and honestly having no clue what will happen, I'm intrigued about my own story again. I want to re-read what I wrote so long ago, and see how my age and wisdom (ha!) might influence how the story will pan out. It's so refreshing to find a book that has not only made me fall in love with reading again, but has also made me fall back in love with writing, imagining, and all that comes along with that type of creating. This story was a little strange overall. It took a bit to get into the action, then I think the ending was over my head (no pun intended). A newspaper columnist meets an important man's wife, and manages to get invited to their estate for the weekend. The husband used to own a newspaper when he was single, but he got rich, his wife nailed him down, and now he is an art collector and has huge statues all over the estate. The columnist hits it off with the husband while the wife is very rude and flirts with other guests. The newspaper columnist and husband walk the grounds and see the wife goofing around with a guest, even kissing him. She gets her head stuck in a statue and the husband has to cut her out with an ax or saw... but the ending was ambiguous to me. I think he lets her die from asphyxiation? The show cut to the chase quickly, having an art historian (instead of a columnist) come to the estate of an art collector and his wife. The wife came on to the art historian in his room one night - something that wasn't in the story. The backstory of the husband owning a newspaper and his wife chasing him into marriage came out in later dialogue. The sculpture scene and kiss happen, but the husband first tries to put Vaseline on the wife's neck to pull her head out. It makes her mad that he makes her messy trying this, because it makes her look silly. I was hoping the film would show the ending to clear it up for me, but it still had him going for her/the sculpture with an ax, and her screaming, so who knows. Maybe he chopped her head off with the ax in this one?